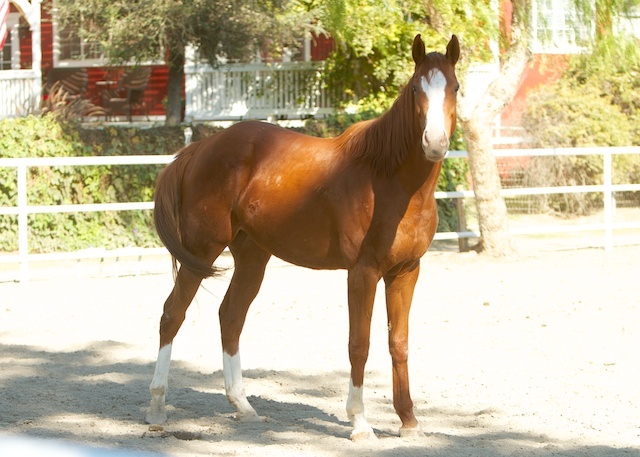 Steele is a super darling and flashy chestnut gelding with lots and lots of chrome…three white socks and a perfect big blaze, to be exact. He is a big boy at 16+hh with a foal date of 2009. He has a wonderful personality which is at times more Golden Retriever than horse. 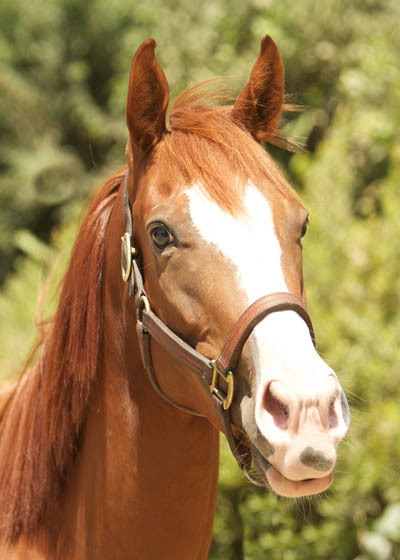 He is the son of Lucky Pulpit which is also the sire of the famous California Chrome. He was the prior victim of irresponsible training and suffered infected hocks as a result of injections administered by someone incompetent. This beauty will be best served as a family member, best friend or companion. Meet baby Steele. Instead of being trailered to a feed lot, and then shipped to slaughter in Mexico, our new little youngster found refuge with us at Red Bucket. With very good reason, he arrived fearful, but soon settled in to dinner…..and safety. Little Steele, named after a generous donor, still doesn’t know what a carrot is, but we are certain that he will learn quickly. There is more to this story, stay tuned.